A Worthy Journey: Join us tomorrow! 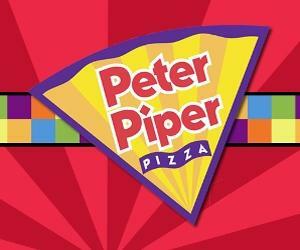 Tomorrow is our big Peter Piper Pizza day. Come join us at the Peter Piper Pizza at 27th Ave. and Carefree Highway (2611 W. Carefree Highway Phoenix, AZ 85085) from 4pm until 9pm. We will get 15% back from all of our sales, and you will get 10 free tokens with every purchase :). We will bring extra fliers if you need one (you must give them the flyer for us to get credit, so just come find me before you purchase) and will also have our bracelets available. We hope to see you there! we will be there! what time are you going?